Is this some grand conspiracy against me, or is anybody else having a Hades of a time getting the Diamond Giveaway site to work? I can easily log in, but whenever I try to get to the trade screen, the dreaded cog of doom spins, and spins, and spins, endlessly into the event horizon. If the cosmos align, I either end up at my requested destination, which is the same odds as the Astros winning the World Series next year, or I get the BIG RED LETTERS OF SYSTEM FAIL-I-TUDE. I could theorize that the Topps ledger boys crunched their numbers and realized they're going to lose money on this gig, so they decided to have the Topps Techies monkey with the source code. Or, the internets are full, which is a more plausible hypothesis. Either way, it is quite frustrating, as time is running out and I am trying to parlay my 33 cards into something. I started with six "who? "s and have scrapped up an additional 27 cards that are more to my taste. Anyone else having problems? Anyone? That site is horrendous. The trade crap is sooo slow. I just request the cards I wanted and that seemed to work, but tried to do a couple of trades to make some people happy and keep getting error messages. 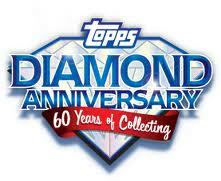 Maybe Topps should hire somebody to manage their online presence, oh wait they did. I guess he's their Duryea basement getting high, eating doritos, and watching reruns of The Big Bang Theory.